You can also check this article where I collected a number of my article and put them in one “Complete guide for deploying and migrating to Lync 2013”. 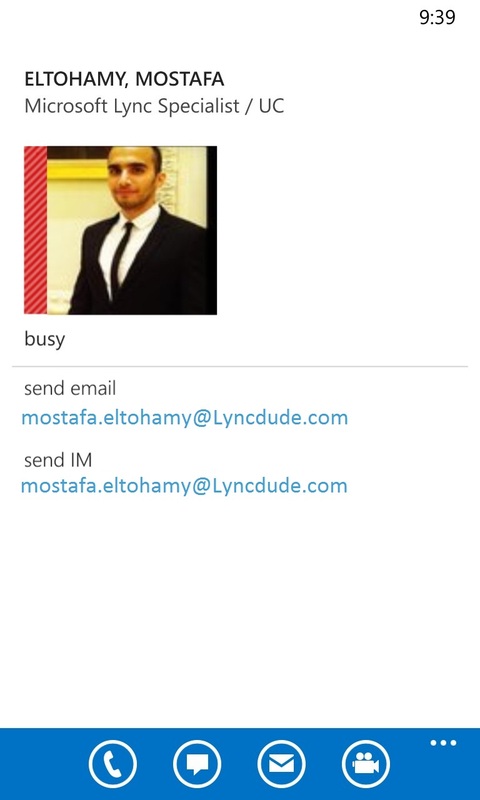 one of the problems was looking around for a fix for it was when you open the contact card of a user in your Lync Mobile client, you cannot see his/her Mobile number, and some time the office number. the work around recommended but not efficient was to add the missing number to the affected contact details in the Outlook. Now that I have the hardware to run a bigger LAB, I thought it’s time to write about upgrading or to use the correct term Migrating from Lync 2010 to Lync 2013. Today I will be writing a guide on how to configure UAG 2010 to publish Lync 2013 URLs. I’m not going to write about how to install UAG, but there is a lot of blog articles that you can use to help you installing UAG which is a straight forward setup. I ran into this error which is repeating a lot in my Lync deployment.